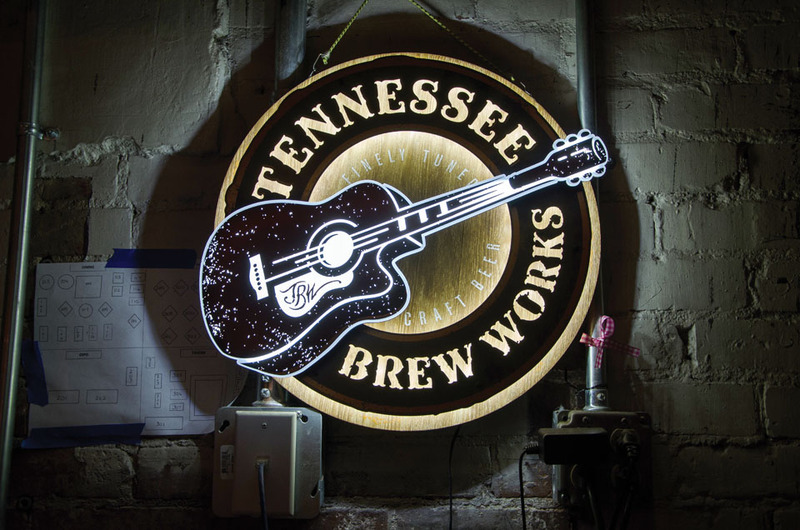 A growing social and nightlife scene round out Chattanooga’s recreational attractions and are boosting the “live, work, play” mantra of many innovators choosing to locate in the city’s center. 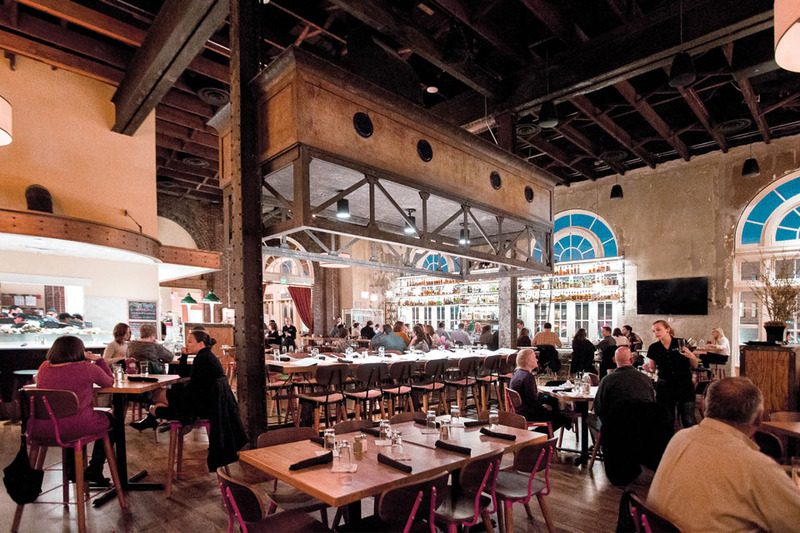 Artisanal restaurant and bar STIR, pictured, opened in 2015 at the recently renovated Chattanooga Choo Choo. In 2008, Volkswagen announced Chattanooga as the future location of its newest manufacturing plant. At the time, many observers attributed the win to the generous incentive package the city and state had offered the German automaker. But when probed, Stefan Jacoby, the then-president and CEO of Volkswagen Group of America, alluded to a different sort of incentive: Chattanooga’s exceptional quality of life. The intangibles. It’s a concept people often use to characterize the reasons why they choose to live in Chattanooga today. Touted as the Scenic City for decades, Chattanooga has never had a shortage of breathtaking vistas and outdoor recreation. But the city needed more than natural treasures to earn its place on national lists ranking the best places for startups. It needed to have a thriving cultural and social environment, strong education institutes, and a forward-thinking energy that was in line with the very premise of innovation. With one of the most impressive collections of American art in the South, the Hunter Museum of American Art blends historic and modern—through both its architecture and its exhibits. Overlooking the picturesque Tennessee River, the museum was the site of Volkswagen’s 2008 announcement of Chattanooga as its new plant location. 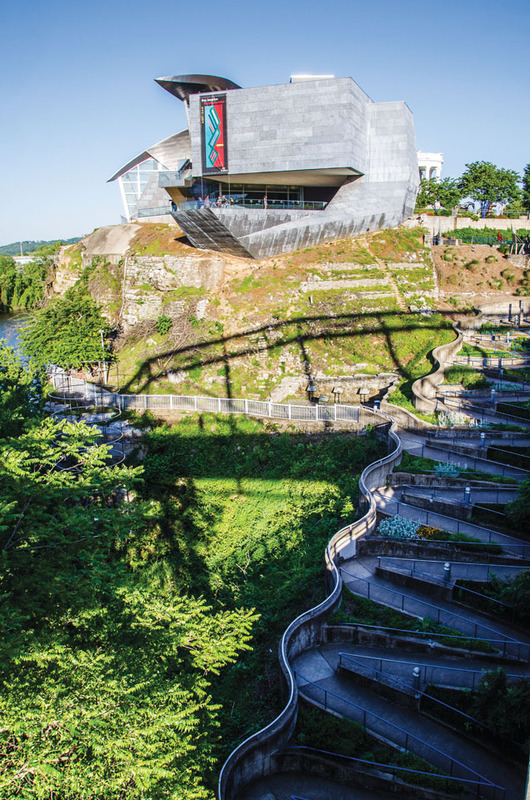 Chattanooga’s Renaissance of the 1990s and early 2000s laid much of the foundation for the city’s continued trajectory. The “build it and they will come” approach to economic and community development not only served as a boon to the city’s tourism efforts but also began to recapture segments of the population who had left Chattanooga with no plans to return. Jack Studer recalls growing up in Chattanooga, saying it was a great place to be a kid— especially during the ’90s, when the city was beginning to turn itself around. However, he says for young adults especially, providing the right kinds of jobs and a plentiful mix of entertainment and social options had been the missing part of the economic development puzzle. Just before Studer returned home to Chattanooga in 2010, the city was already experiencing major renewal in its Southside. Helped along by the work of CreateHere and sister organization MakeWork, creatives and young entrepreneurs began to repopulate the once blighted neighborhood. As a result, development that, until then, had been focused in the NorthShore area of town was beginning to look southward. Local bakery Niedlov’s opened on the neighborhood’s central artery, Main Street, in 2004, followed by a string of other eateries, including breakfast/brunch spot Bluegrass Grill and upscale Italian restaurant Alleia. 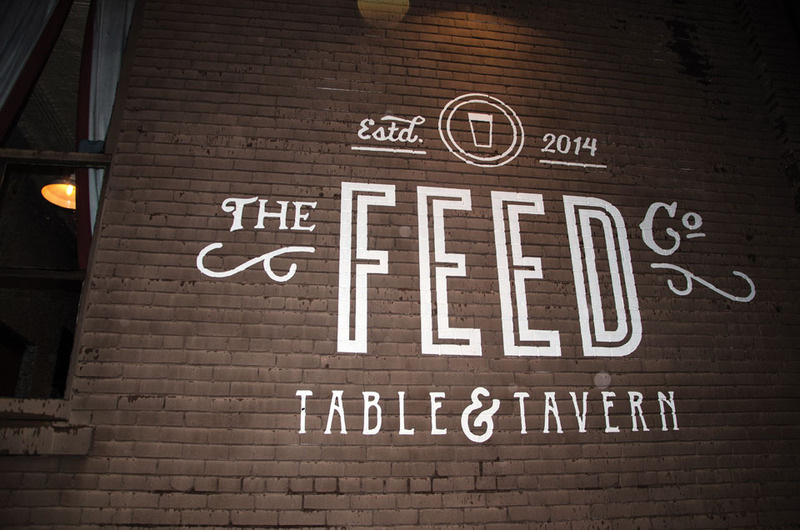 More recently, the neighborhood gained game-themed restaurant and bar Southside Social, farm-fresh restaurant Feed Table & Tavern, and adventurer-targeted hostel The Crash Pad, which operates an adjacent bar called the Flying Squirrel. 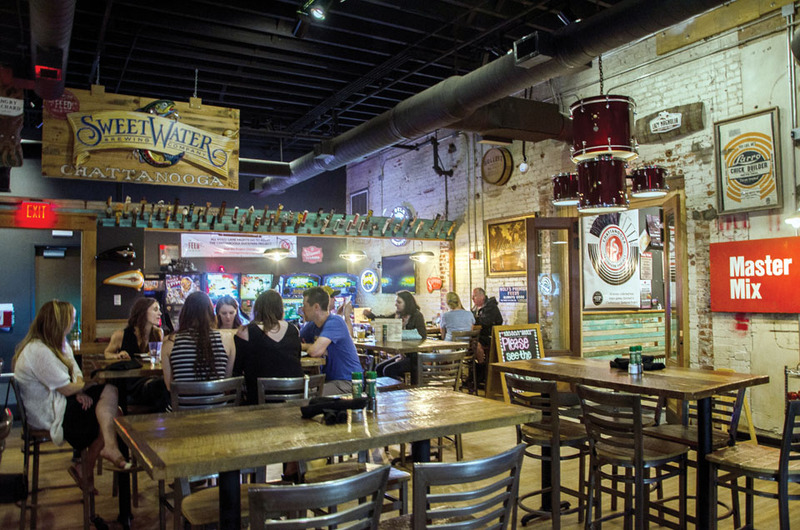 No longer dominated by just eclectic office spaces and artist lofts, Southside was becoming a hip place to not only work but also live, and young families and professionals flocked to it. In addition to apartments and lofts, Southside saw a boom in standalone and attached housing. Located near the edge of the Southside toward downtown, the Chattanooga Choo Choo hotel has been a staple in the neighborhood since the 1970s. In 2014, local developers announced that a portion of the iconic Choo Choo hotel would undergo an $8 million renovation to convert the space into an entertainment complex along what would be called Station Street. The development opened in 2015 and now houses Stir, a seafood-focused American restaurant with craft cocktails; Frothy Monkey, a low-key coffeehouse-restaurant hybrid serving breakfast through dinner; The Comedy Catch, a comedy club that relocated from Chattanooga’s Brainerd area, along with accompanying The Backstage Bar; and the Revelry Room, an intimate concert venue. In early 2017, The Songbirds Guitar Museum opened in the complex. With the goal of inspiring “a whole new generation of guitar lovers,” the museum offers visitors revolving exhibits that showcase “rare and vintage” guitars. And the updates do not stop with entertainment and nightlife. Another portion of the Choo Choo was converted into 96 apartment units the same year as the Station Street Development. Boasting “mid-century modern living steps from downtown,” Passenger Flats offers residents free wi-fi and utilities. Plans are also underway to convert an old terminal station on the campus into luxury apartments. While development is taking place all over the city, the Southside’s proximity to the Innovation District makes it an ideal location for the segment of the population that wants to walk or bike to work and social activities. And by boosting the city’s already exceptional reputation for quality of life, these changes are making Chattanooga more and more attractive to individuals and families relocating to Chattanooga to take advantage of its startup ecosystem. Utilizing public spaces for recreation is a major priority for the city. Mirroring the same spirit of renewal of the Choo Choo redevelopment, the city broke ground on the redevelopment of one of its oldest parks in July 2017. Part of a larger plan to “reanimate” the city center and its outdoor spaces, the redesign of Miller Park will include enhanced green space, a pavilion, and a more direct connection to sister space Miller Plaza via Martin Luther King Boulevard. Patten Parkway—the site of the first Coca-Cola Bottling plant—will also be overhauled as part of the redevelopment. 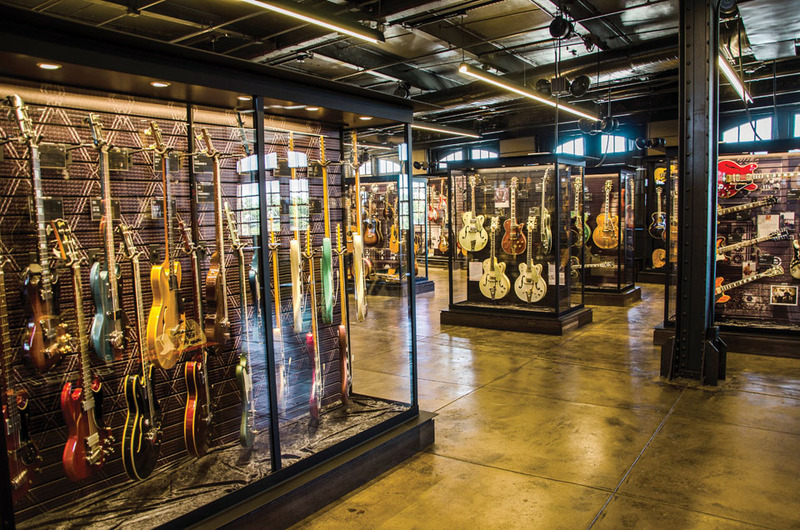 A music enthusiast’s dream, Songbirds Guitar Museum exhibits rare and vintage guitars and plays host to concerts and other music events. While the city’s recreational and social attractions have begun to boom in recent years, a crucial component of quality of life has lagged behind: education. Despite its up-and-coming reputation as an innovation hub, Chattanooga has found itself playing catch-up when it comes to workforce development. The numbers seem dismal. However, like most challenges the city has faced, where there’s a will, there’s a Chattanooga Way. Hamilton County Department of Education, and the Public Education Foundation, the initiative kicked off in late 2015 with a 100-day period of public engagement, which culminated with the report and 10 resulting strategies—ranging from a renewed focus on literacy to better connecting residents to opportunities for in-demand jobs. Though still in its early stages, the project has the support behind it that will seemingly carry it into the year 2025. Community leaders like Studer recognize the value of such projects in shifting the innovation community’s focus from recruiting talent to retaining it. “Chattanooga 2.0 is the kind of stuff that’s going to pay the big dividends in the next 10 years,” he says.